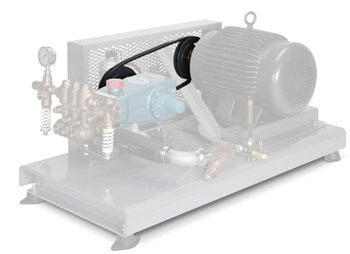 Our most common drive package gives you the flexibility to run pump at different performances based on set up. Anti-static, synchronized, and v-belt options available. 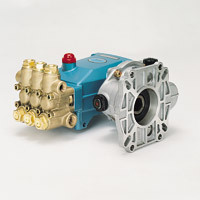 For lower flow applications, we have a variety of compact, direct-drive pumps available. These models bolt directly to your motor or gas engine for simply installation and space saving. 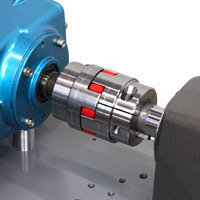 Another space saving direct-drive option is a flex coupling and/or bell housing. Options available from small 3CP models to our 35 frame. 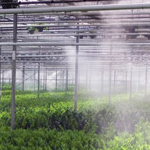 This configuration provides a simpler, more compact design while eliminating belt maintenance. For gas engine installations, we offer a variety of gearbox models that provide the ability to directly mount as well as reduce the pump speed to correct RPM. Available for 1" and 1-1/8" shaft sizes. 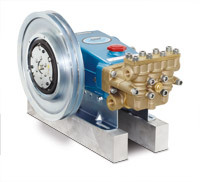 For applications where the pump will run in by-pass for extended time, we have a variety of clutches available that provide the ability to remotely engage/disengage the pump, extending life.